RICHMOND, Va. — Citing rising tuition and the student loan crisis, VCU has announced the creation of a new bachelor’s program which allows students to complete their degree requirements in under seven years. 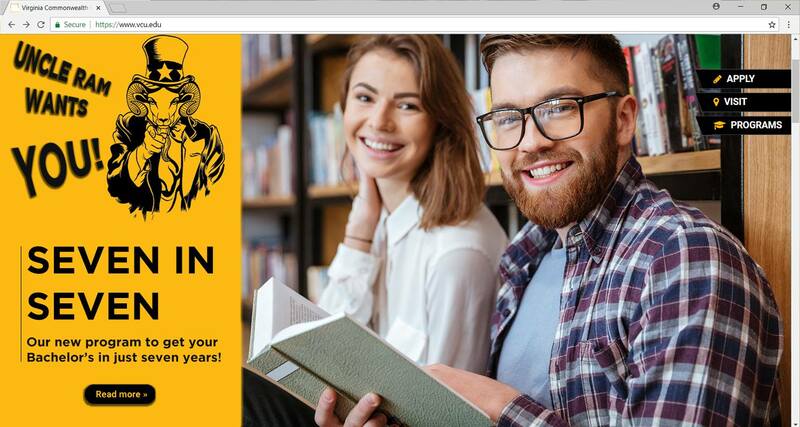 VCU’s new “Seven in Seven” program offers students who finish their degree in less than seven years a flat tuition rate of $70,000, including room and board. With the “Seven in Seven” plan, students can take any combination of courses totaling 120 credits in under seven years and create their own degree. Courses can also be repeated multiple times for credit. For example, if a student chose to take Astronomy 101 (a three-credit course) 40 times, they would earn a degree. In addition, students cannot switch majors more than three times during the length of the program. In addition to allowing students to enroll in whatever courses they choose, VCU has also promised to hire more instructors for core courses and offer more than four classes during the summer semester. In an effort to boost the program’s launch, VCU will also require academic advisors to be available for more than 45 minutes each semester to assist students with course selection. Show your support for true Virginia journalism – check out our online store. Wow only 7 years to graduate with a 4 year degree and this is a positive thing? Your system is broken try getting students done quicker not longer, and locking in tuition at 70k just think about how much income you lose in the 3 extra years to graduate vs working in the field.